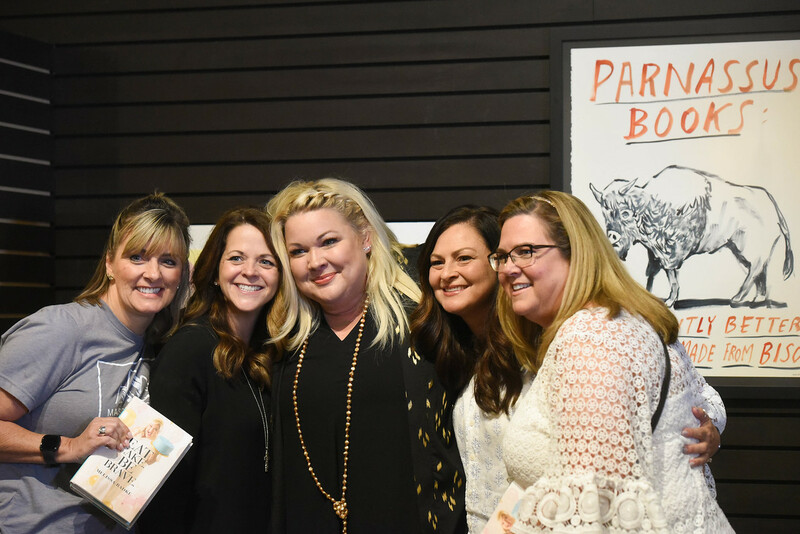 Melissa Radke does a booking signing event at Parnassus Books near Belmont University in Nashville, Tennessee, August 2, 2018. Radke is a Belmont Grad. The path to her current national tour isn’t what alumna Melissa Radke expected from her life’s journey when she was a Belmont University commercial music student in the late ’90s, but despite the bumps in the road, she wouldn’t have it any other way. The Lufkin, Texas native has become an internet sensation with online videos that have reached over 59 million people on her Facebook page alone, and she has amassed a following of more than 325,000 across her social media channels. Moreover, Melissa, her husband David (also a Belmont alum), and their two children, Remi and Rocco, will be the subjects of a new USA network unscripted family comedy series set to premiere this fall. The Radke family appears on set for their new USA sitcom.